Soft, softer, softest. BYO is the brand name of all our soft contact lenses. Different types of contacts, such as standard disposable and custom-made, fall within the BYO category. Every type has its own unique characteristics. You can’t change your eyes, but you can change your contact lenses. BYO Premium custom-made soft contacts offer an optimal fit, perfect vision and maximum comfort. After all; there are no difficult eyes! 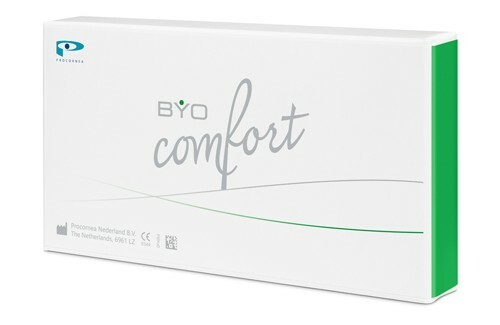 BYO Comfort contact lenses are characterized by excellent wearing comfort and optimal visual acuity. BYO Comfort belongs to the newest generation Silicone Hydrogel lenses: the Hyaluronic Silicone Hydrogels. An innovative lens for monthly replacement with an integrated UV-Filter. 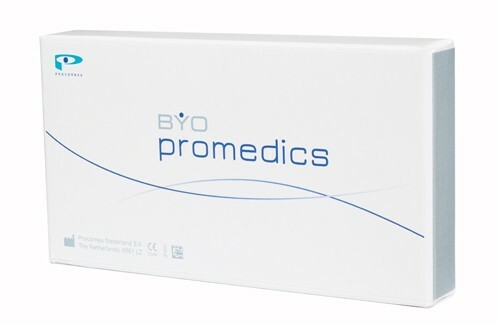 BYO Promedics are made of an eye-friendly (biocompatible) material. This generates a more stable tear layer and improves wettability of the lens. Completely in your element with BYO Promedics. BYO AB is a custom-made soft contact lens. Thanks to the aberration blocking technique situated on the front side of the lens, stable vision from the centre to the periphery is guaranteed. BYO Royal is a soft bifocal custom-made contact lens. The triangle shaped reading segment is located on the lower front side of the lens. This guarantees good visual acuity, both distance and near. The ideal lens for people with a high reading addition.